A hardware supplier was opening two new distribution centers: a 410,000 sq. ft. facility in Ohio and 290,000 sq. ft. facility in California. The desired completion dates of the material handling system for each distribution center were close, and therefore each project had to be coordinated simultaneously. 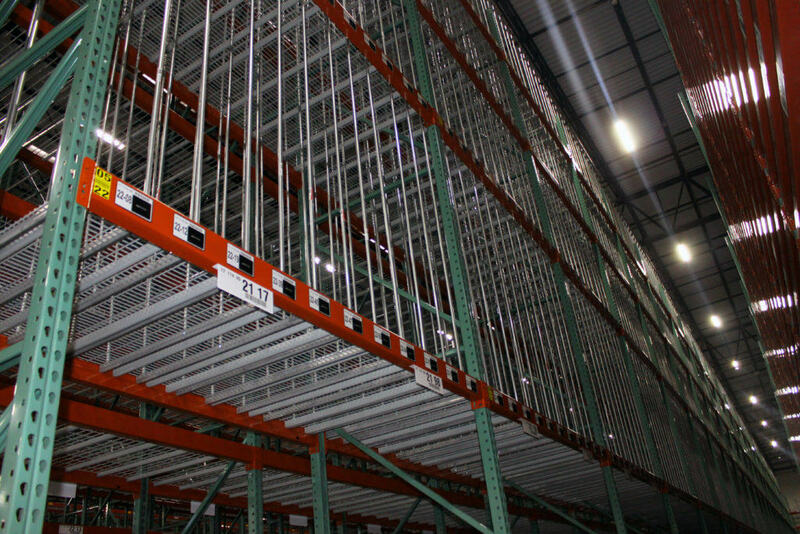 Additionally, the material handling systems needed to accommodate the company’s 13,000 SKUs, which varied significantly in size, shape, and weight. REB was chosen as the provider of both material handling systems. It was ideal for the company to work with one provider for both systems, and REB has the capabilities to accommodate this. To accommodate for storage of long, thin, light items such as plastic sheets, REB designed tall bays with horizontal rods of electrical conduit to act as barriers to allow the plastic sheets to be stored vertically, providing increased density compared to storing the sheets flat. The company also required storage of long, thin, heavy items such as sheet metal. Because of the increased weight of the sheet metal compared to the plastic sheets, it was determined that they had to be stored flat. In order to still provide high density storage of these items, REB incorporated rows of beams with tight profiles of 6”. For tall or bulky items that can be placed on ground level, a unique barrier was designed to prevent products from rubbing against another. Once the design was finalized, REB hired all subcontractors, assisted in obtaining all permits for the material handling system, and oversaw the installation process. Because of the large and detailed scope of work needed, REB provided an on-site project manager for both locations. The REB project manager remained on-site for the duration of each project, acting as a go-to person for the customer whenever needed and ensured that the project ran smoothly. 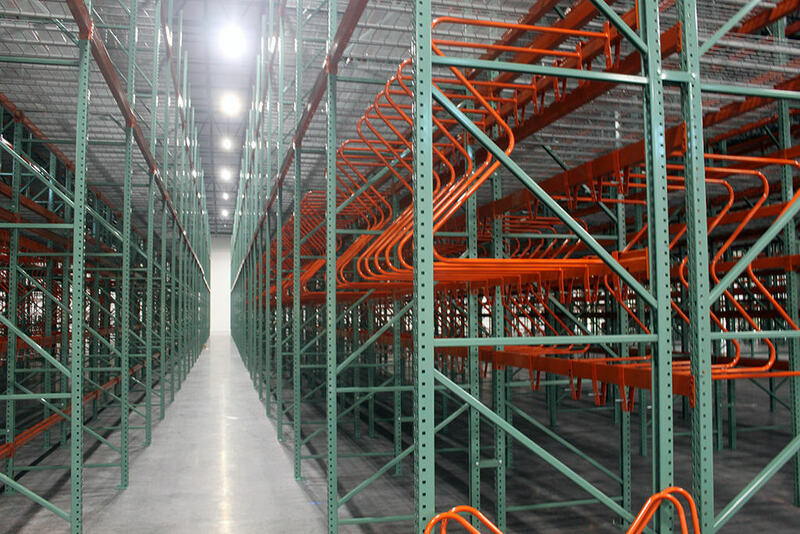 REB designed a layout that enables this company to store all 13,000 SKUs, taking into account the variety of shapes and sizes to maintain high storage density and selectivity. The higher selectivity allows for easier product picking, expediting the order fulfillment process. The project was completed on-time and within budget. The video provided below outlines the installation process for the Ohio-based distribution center. Opening A New Distribution Center? We know expanding operations can be an overwhelming process. 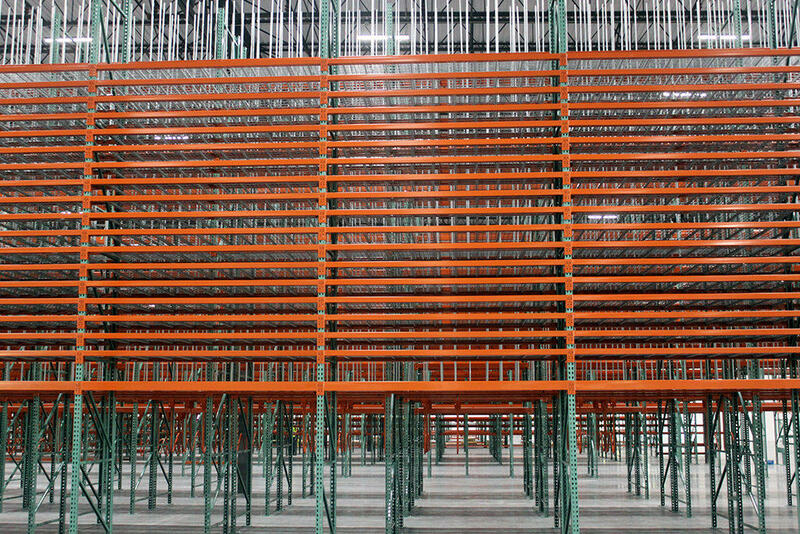 If you are expanding into a new distribution center, REB Storage Systems International can help answer any questions you may have regarding the design and implementation of a new material handling system or the installation process. For more information or to get in touch with one of our industry experts, fill out the 'Submit Your Inquiry' form.